While many humans just cannot get enough of a chocolate treat, dogs should be kept far away from the desert. Even those with just a bit of chocolate or employing chocolate coatings, powder, or bits can be harmful to unsuspecting pets. 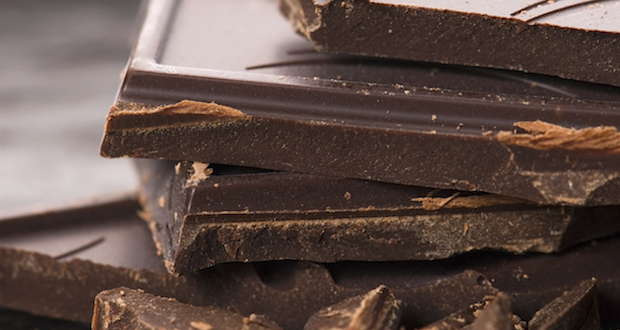 The dangerous ingredients found in chocolate are caffeine and a harmful family of toxins called methylxanthines. Like alcohol, while humans can process these quickly with little side effects outside of a sugar high, dogs cannot and instead take hours, if not longer, to come down from the buzz. Dog’s failure to break down methylxanthines and caffeine can cause seizures, dehydration, and rapid heartbeat. The rule of thumb is that no chocolate or caffeine is safe for dogs, period.